The body reacts in a variety of ways to autoimmune disorders, which cause a person’s immune system to attack its own tissues. Depending on the condition, an autoimmune disorder can affect a variety of organs, joints and muscles, or other bodily tissues. One tissue that’s commonly affected by autoimmune disorders is the skin. 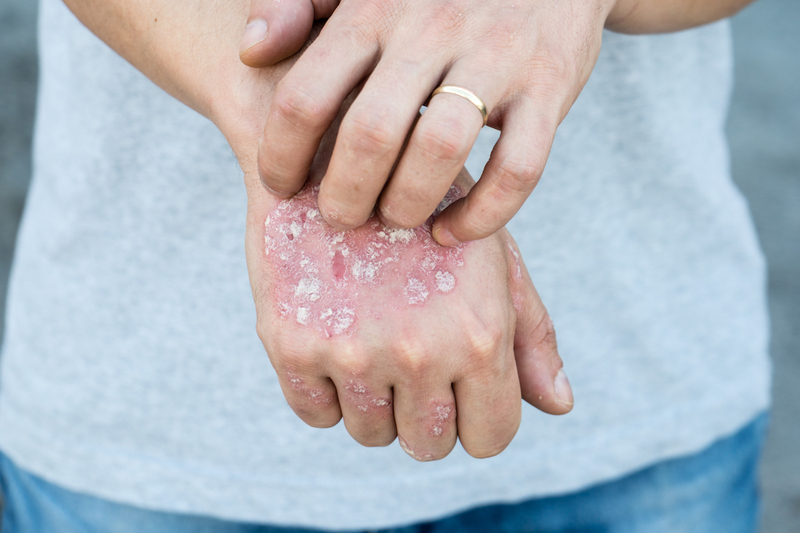 There are several conditions that fall into this category to include: psoriasis, scleroderma, dermatomyositis, epidermolysis bullosa, and bullous pemphigoid. Individual’s with one of these autoimmune conditions have typically seen a dermatologist for the presenting symptoms that have manifested on their body. Involvement of muscles in the pharynx and upper esophagus and occasionally the heart. Inflammatory myositis is more common in African-Americans compared to caucasians and in woman as compared to men. Polymyositis primarily affects adults in their 30’s to 50’s. Dermatomyositis commonly affects children ages 5-15 and adults ages 45-65. 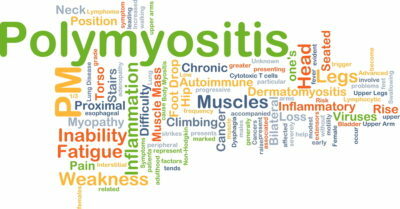 Myositis can occur in combination with other autoimmune diseases. The exact cause is unknown, but we do know that it is an autoimmune disease (the body’s own immune system attacks the muscles) and in some cases the skin. Myositis is characterized by the onset of chronic, severe weakness in muscles close to the trunk – the upper arms/shoulders, thighs and sometimes the neck. Weakness is due to muscle inflammation and subsequent muscle damage. While weakness is the most prominent symptom, muscle soreness can also occur. Patients may notice difficulty getting out of a chair, putting things away in overhead cabinets, or trouble climbing stairs due to weakness rather than pain. A violet discoloration or swelling around the eyes (heliotrope)and/or across the back and chest (shawl rash). This rash is worsened by sun exposure. It is important to establish the correct cause of the muscle weakness because each type of myositis is treated differently, and each has a different prognosis. Importantly, polymyositis and dermatomyositis can be associated with cancer. Your doctor will take a thorough history to make sure you are up-to-date with age-appropriate cancer screening (e.g. colonoscopy if you are over age 50). The initial treatment for inflammatory myopathies is steroids taken by mouth and sometimes intravenously, depending on how severe symptoms are at diagnosis. No other medication works as quickly. The eventual goal is to taper the steroids slowly and substitute a medication that is safer to take in the long term such as mycophenolate mofetil or azathioprine. In severe cases of myositis, especially when the muscles used for swallowing are impacted, we sometimes use intravenous immunoglobulin, or IVIG, a medication given monthly by infusion. Physical therapy is also an important part of myositis treatment to help patients regain strength. Additional information on inflammatory myositis can be found HERE. 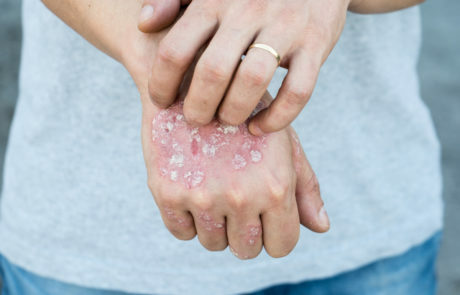 Psoriasis is an irritating autoimmune skin disorder that presents with rashes due to an increase of cell production. These cells under the skin raise to the skin surface and manifest in raised red plaque. 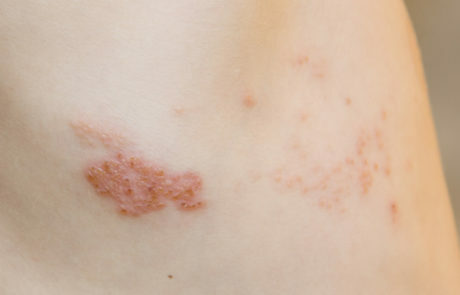 There are several types of psoriasis that present in their own unique way in different regions of the body as well as having different contributing triggers. Symptoms of psoriasis flares include: red patches of skin, crusty scalp patches, and fingernail/toenail color change and pitting. 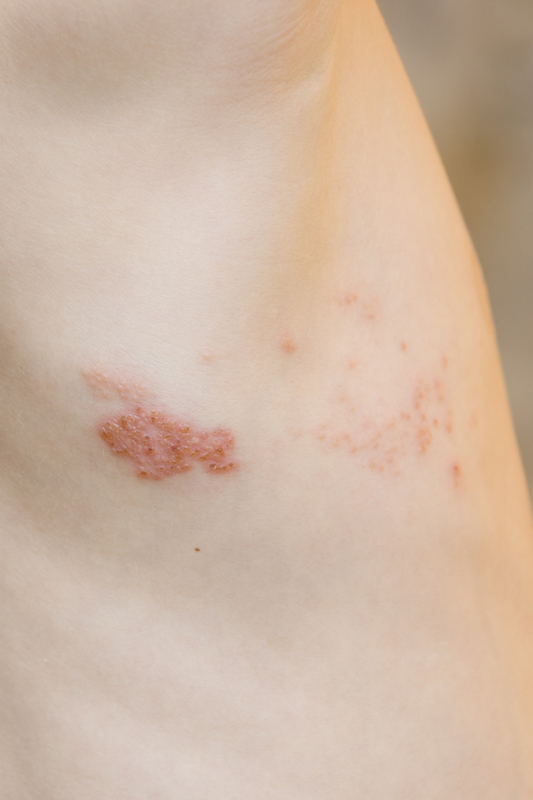 Hidradenitis Suppurativa is a chronic skin condition in which multiple small skin boils and abscesses occur in areas where the skin rubs together. The most commonly affected areas are the armpits, groin, breasts and buttocks. These abscesses typically result from hair follicle obstruction and/or inflammation and infection of the sweat glands. This condition usually begins at puberty and almost always occurs before age 40. It is three times more common in women than men. There are no laboratory tests used to diagnosis this condition. Typically a diagnosis is obtained with a thorough patient history and physical exam. If there is drainage present, a culture of the fluid may be done to diagnosis any infection. Pemphigus Vulgaris is a rare autoimmune condition that affects the skin and mucous membranes, causing with painful blisters and sores. Typically this condition starts in the mouth, but often involves other areas including the skin and GI tract. It can occur at any age, but it’s most often seen in people who are middle-aged or older. There is no known cause of the condition, but it is not contagious. This condition is diagnosed with a patient history, physical exam, and biopsy of the lesions.